We are happy to provide condition report requests via email or by telephone, for any prospective bidders who are unable to visit us and view the sale themselves. NB: Please see our terms & conditions of service regarding condition reports. Please be aware that any condition report request received after 4pm on the day prior to the auction, may not be actioned. Buyers are welcome to register to bid with us at any time during the three viewing days, or alternatively, on the morning of the sale. We simply require your name, address, telephone number and (where possible), an email address. Upon registration, you will be given a bidding number to use during the sale. Should you be unable to attend the sale, we are happy to accept commission bids. The auctioneer will bid on your behalf at no extra cost, bearing in mind reserve prices and other bids. To leave a bid, please complete the form here or alternatively, call us on 01525 290 502 to leave a commission bid or arrange a telephone bid. There is no lower limit for telephone or commission bids. Our sales are all available online, enabling you to bid in real time as if you were in the room. To do this, you’ll need to registered with www.the-saleroom.com (subject to approval) – their registration requirements can be viewed here. 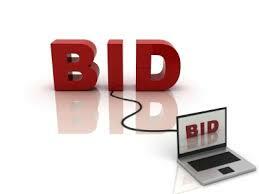 Internet bidding attracts an additional charge (4.95% of the hammer price). NB: A payment link will be emailed to you after the auction. A buyer’s premium of 17.5% +VAT will be added to the hammer price of each lot. Online bidding attracts an additional 4.95% charge. All international bank transfers, not in pounds sterling, will incur an additional £7.00 handling fee. Once paid for, most items can be collected during the sale – we are not able to allow clearance of furniture lots until the auction has ended. All lots not collected within 7 days of the sale will be charged at £1.00 + VAT per lot per day for storage. Online bidders can pay-by-link online at the www.saleroom.com. Upon receipt of a winners notification advice note, you will receive a payment request via email. 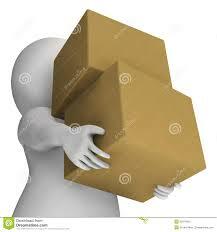 We are happy to pack and ship small manageable lots, with an appropriate charge for materials, time and postage costs. We would advise that items of a delicate and fragile nature are collected and shipped by professional packers, as we cannot guarantee safe receipt and reserve the right to refer you to such a business if necessary. We can recommend Mailboxes Etc. in Bedford for this service (telephone: 01234 305544). Please note: we cannot ship firearms whether real, restricted or reproduction, this also includes swords. Check with Mailboxes prior to the auction to see if they can assist you, as they may also be unable to do so).